Choose from three different classes to expand your professional skills! Our classes are designed to fit your educational interests, goals, and schedule. 1. Permanent Eyebrows Design - This class focuses on the art of permanent eyebrow design using both manual and machine methods. This class is the best choice for those who want to specialize in eyebrows only. Note: Participants are responsible for providing their own supplies and/or machine. 2. Full Permanent Makeup - This class includes permanent eyebrows and eyebrow tinting, eyelash enhancement and tinting, and natural lip coloration techniques. We use both manual and machine methods to focus on producing a natural look and do not use fashion colors. Note: Participants are responsible for providing their own supplies and/or machine. 3. Full Permanent Makeup plus Hair Simulation (Advanced Class) - In addition to the Full Permanent Makeup course, this class provides training in scar camouflaging, areola pigmentation, and simulating hair density for male and female clients. As with our other classes, both the manual and machine methods will be taught. Note: This course does not include supplies or machine. A special machine, which is also an excellent choice for permanent makeup, is required for the Hair Simulation class. Participants are responsible for providing their own supplies and/or machine. Please contact us for more information before purchasing your equipment. one hundred hours of instruction in order to receive a Permanent Makeup of Atlanta certificate. • Hours must be completed within ninety days. • Certificates are not issued until the student passes a written and practical exam. • Certification allows you to validate your education for insurance purposes. tattoo laws, so you will need to check with the appropriate licensing board in your area. • Our classes sizes are limited and we only accept a certain number of students each year. Please email us with a short resume and a description of your goals. • Advanced classes are designed based on what each student wants to learn. during the first year if needed. 1. What are the standard types of needles? 2. List the standard types of needles and explain the situation in which you would use each one. 3. List standard needle sizes (gauges). 4. List skin disorders and diseases that would prohibit tattoo services. 5. List the layers of the skin from the outer to inner layers. 6. Describe how to select color for the brows, lips and liner. 7. List the steps for proper cleaning and disinfection of tools used in tattooing. 8. List the set-up steps for a brow procedure. 9. 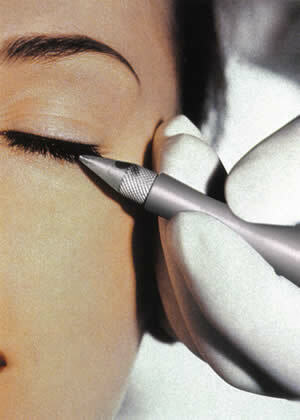 Describe a brow procedure from start to finish and include the after care. 10. Describe liner and lip procedures from start to finish and include the after care. 11. List different tattoo machines and describe the methods and needles that are used with each. 12. How are client files set up? Explain what needs to be included in them. 13. Identify the colors that cannot be mixed. 14. When is a patch test done and why? 15. What information is included on a client history form? 16. What questions do you need to ask the client during a consultation? 17. What should you do if a client is not happy with the end result? 18. Are MRI's safe? Why or why not? 19. What board or organization certifies you? 20. What are the risks associated with a lip procedure? 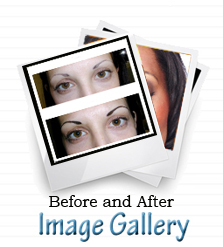 Contact Permanent Makeup of Atlanta at (404) 229-7372 for more information. Do men really care about how they look? Tattoo Hair Simulation: A New Cure for Male Pattern Baldness?